Before reading, open your mind to the thought that we are all beings of energy. Every molecule and atom humans consist of vibrate with a measurable frequency just as light and heat are forms of energy that travel in quantifiable waves. A band of light perceived as heat is what people are referring to when speaking about Infrared rays. Infrared waves are classified based on how quickly the energy they emit travels as Near, Middle, and Far. FAR-Infrared rays vibrational frequency is very close to that of our own which is what makes it such an ideal therapy for relaxing particular systems within the human body. This being partially because all organic living organisms emit this radiant heat. Organisms that emit this radiant heat also possess the ability to obtain it from an outside source; such as the sun or specialized equipment. Most of the Infrared rays people absorb come from 80% of the suns rays. These rays are opposite from UV rays in the sense the light / heat they produce have no harmful effects on the skin. 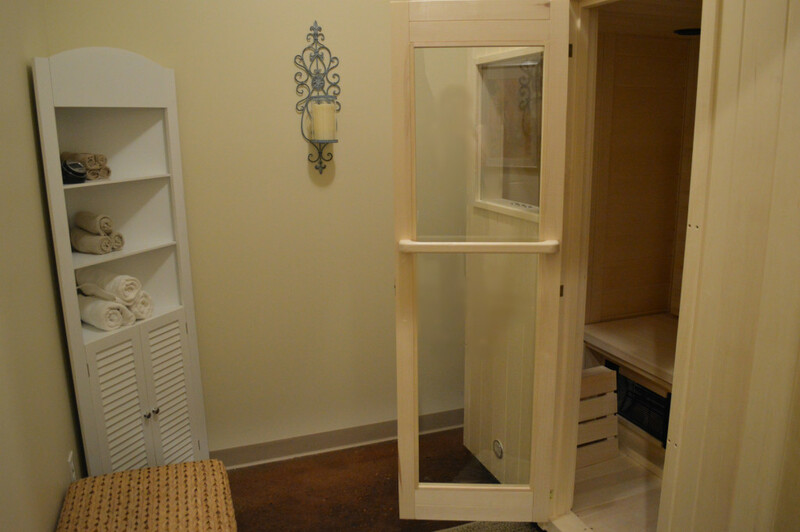 The FAR-Infrared sauna operates at 110-140 °F. Whereas traditional saunas use temperatures ranging from 150-180 °F. While traditional saunas still have their place as a healing and relaxation tool, the defining factors of how the heat transfer takes place is what makes the infrared therapy better suited for relief of chronic conditions. Wet and dry saunas work by heating the air around you first, warming your skin then warming the superficial cells and tissues. Though this creates a warming sensation for the body, often this method can only be tolerated in short sessions as temperatures of greater heat than FAR-infrared saunas must be achieved for this affect to take place. The goal of infrared saunas is to have a steady heat source for long periods of time. They still have the same detoxifying, perspiring effect as the traditional sauna method, just with less severity in temperature and at a rate that harmonizes with our internal systems. How does FAR-Infrared radiant heat work? The nature of FAR-Infrared heat is what enables it to heal deep within the body without affecting the air around you through a means of heat transfer called conversion. Due to the similar vibrational rate of our radiant heat and infrared waves, the heat moves directly into the skin causing the water molecules within the body to resonate and move, creating friction, and producing heat internally promoting circulation, ionization, and natural healing. It also disengages the sympathetic nervous system which actually inhibits toxin elimination. In short, every body can benefit from absorption of this radiant energy.